Congratulations to Mrs. Sheryl Bobo for being named our first ever A3 staff member of the week! 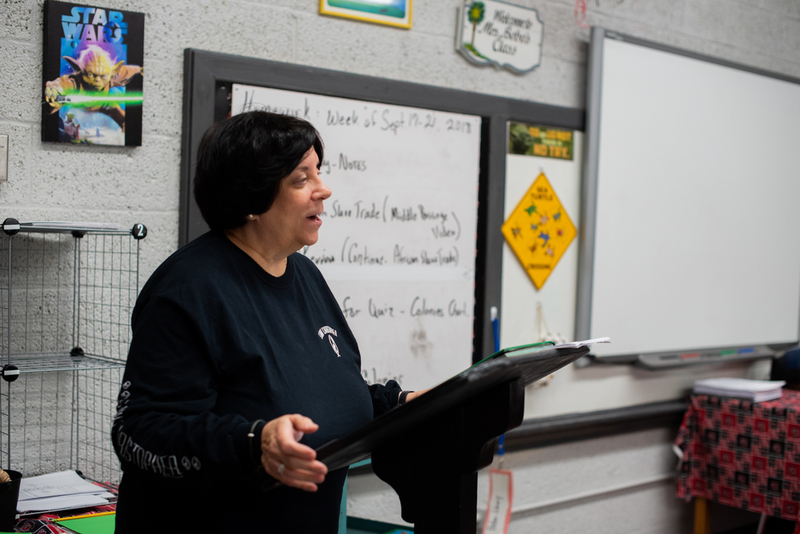 Mrs. Bobo is a veteran history teacher at Starr-Iva Middle School, where she has taught World History for most of her 21-year tenure. Bobo was nominated by a former student for being "a kind and loving teacher" and "the reason I still love history". When asked what Mrs. Bobo's favorite part of teaching was, she says: "I love teaching because I love to hear a child say, "I got it! ", observing students growth is the best part of education." Bobo strives to remind students to believe in themselves and she believes encouragement makes the ultimate difference. Congratulations, Mrs. Bobo! Thank you for your dedication to the children of A3.